The occasion of strong Bora wind blowing in the Vipava valley on the 16th of February 2016, was used to put in operation our new system for measuring the Bora wind. The system consists of wind speed sensors and variable message signs on site and displays their information on SCADA within Urban traffic control system (UTCS) at the regional control centre in Dragomelj, Slovenia. 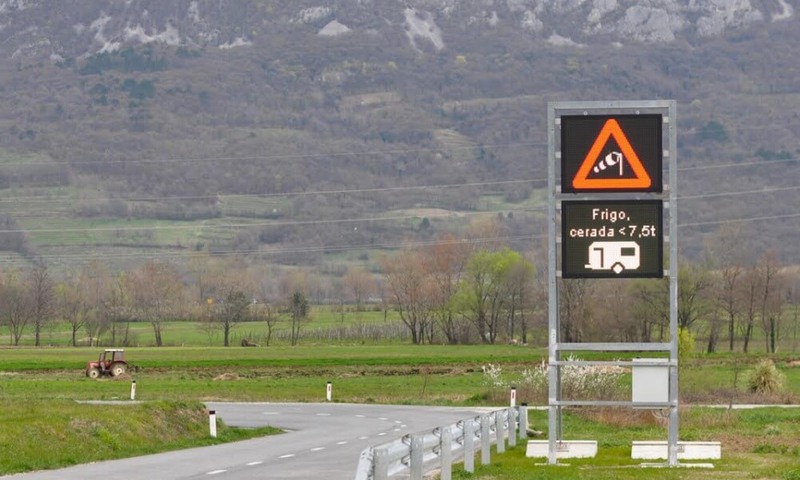 Bora, the characteristic wind of south-western region of Slovenia, particularly severe in the Vipava valley, causes problems in traffic as it reaches up to 200 km/h. Strong gusts of wind are problematic especially for larger vehicles. To ensure greater security and information about the traffic conditions on the state road from Razdrto to Ajševica, a new measuring system of Bora wind has been developed and implemented by Asist, together with Q-Free Traffic Design. The system was developed for DRSI, the national infrastructure agency. Bora system consists of 8 measuring points and 11 message signs. Vipava valley is divided into four wind zones, each with two wind speed sensors, placed in the following locations: Podnanos, Manče, Žapuže, Zemono, Ajdovščina east, Potoče, Vitovlje and Šmihel. 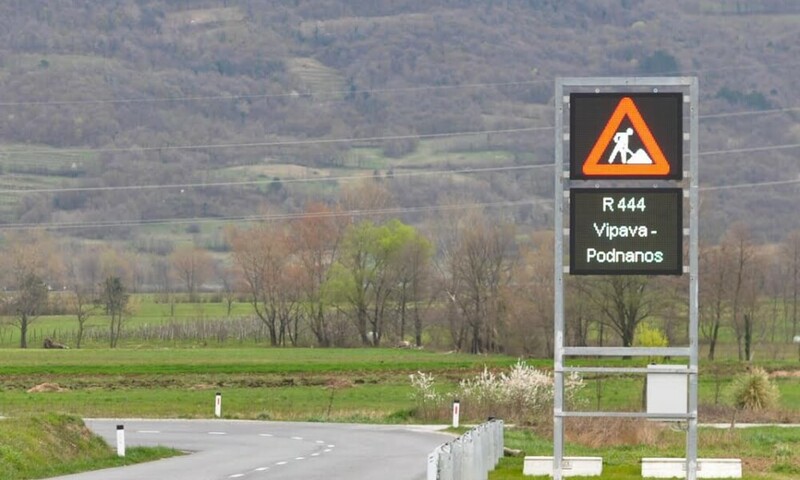 At the wind speed that could endanger road users, the system automatically informs drivers about road closures, via 11 variable message signs placed on most vulnerable sections: Razdrto, Podnanos, Manče, Vipava direction Podnanos, Vipava direction Ajdovščina, Ajdovščina direction Vipava, Ajdovščina direction Nova Gorica, Selo direction Ajdovščina, Selo direction Črniče, Vogersko, Ajševica. All data on wind speed (maximum and current speed) along with content, displayed on variable message signs, is shown also on the SCADA of Regional control centre in Dragomelj, Ljubljana. Operators there also have available all relevant information on the functioning of controllers, sensors and variable signage.